Proof that this is a real review. To show you I bought this peeler for real. I made this picture. For starters, this is not a cheap peeler. Some peelers start from 5 dollars and when you spent 12 dollar you already get a decent julienne peeler. This one I bought from a brick-and-mortar store for 29 dollars but you also can find it on Amazon for 29,95 dollars. The main reason why I bought this Peeler is to speed up the process of julienning my vegetables. A cucumber takes less than two minutes. If you trying to make julienne with a knife it takes up to 10 minutes. The second reason is the quality, if I buy kitchen utensil it has to be top quality. I believe it’s cheaper in the longrun. I hope this peeler will last 20 years and even longer. Other peelers may brake down after two or three years. So I choose high quality stainless steal peeler produced by a German company called Rösle. They are famous for producing the finest quality professional cooking tools and kitchen utensils for the professional chef and home cook. Designed for optimum performance, comfort and appearance. 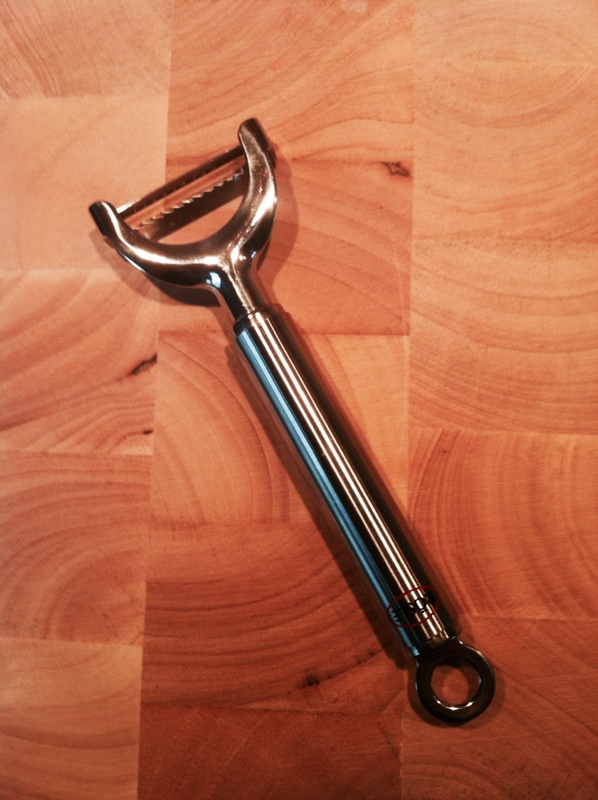 Has the Rosle Julienne Peeler drawbacks? Non at all. I love my new peeler and I hope that me and my peeler will prepare many exciting dishes. For other people the julienne cut can be a bit to thin. But for me it’s just fine. 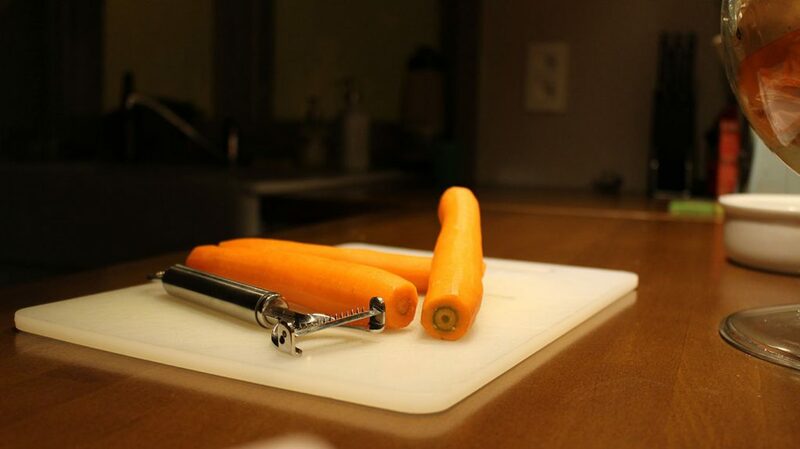 Ideal for making large amounts of julienne cut vegetables. Handle is filled on either end with a high-grade epoxy cement. This makes it water tight, anchors the head securely and gives the tool good weight and balance.